Do you need an attorney for a car accident in Miami today? Our Miami personal injury lawyers at the Wolfson Law Firm are readily available for free consultation with you. Call us at (305) 285-1115 now, and we will answer all your accident-related questions. This free consultation will help you understand your situation better. You’ll know if you’re entitled to damages recovery according to the Florida legal system, how much your case could be worth, and how to get compensated in the quickest possible way. Medical costs: This includes visits to a doctor, stay in a hospital, surgery, ambulance, and other costs. Medical devices costs: If you need a wheelchair, crutches, or other medical devices while recovering from injuries or forever, you’ll get compensated for these costs. Medication costs: Keep the bills for any medications you've bought for your recovery process. Pain and suffering: This may not directly cost you money, but it is just to receive compensation for what you have been through. Scarring and disfigurement: You may have expenses for fixing scars, but even if you don’t, you can be compensated for the disfigurement. Lost income: If you have to stay at home during recovery, you'll lose money. The liable person may have to compensate you for that. Loss of financial support: If you are not able to support your dependents through the recovery process, the responsible person and their insurance company will cover that as well. Funeral costs: In case of wrongful death, you'll have expenses for the funeral of your loved one. Call us, and we'll let you know what you can recover for. It will depend on the injuries you have sustained. It also matters if it was only the other driver's fault or you are at fault as well. Tell us about the circumstances of your case, and we will let you know what it means from a legal point of view for free of charge. It brings no obligation to hire us whatsoever. We handle cases on a contingency basis. It means that you’ll pay nothing until the end of the procedure. When it ends, you’ll pay only if we recover damages for you. The most dangerous spots in Miami are Interstate 95, which is one of the deadliest roads in the whole state of Florida. Drivers should also be careful on NW 17th Avenue and the Dolphin Expressway. There is no other road in Miami that has more injury-causing accidents than these. Call us now at (305) 285-1115, and you'll know what your options are. This consultation is free of charge and doesn't oblige you to hire us. We help good folks injured in auto accidents all around Miami and South Florida for the last 50 plus years. That experience allows us to create a negotiating strategy to get you the damages compensation you deserve. We handle cases on a contingency basis. It means that you’ll pay nothing until we recover damages for you. 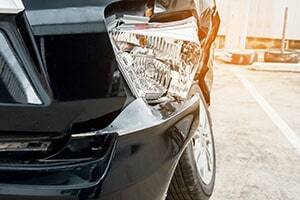 The attorneys for car accidents in Miami at the Wolfson Law Firm serve the city of Miami and all its neighborhoods including Allapattah, Coral Way, Coconut Grove, Wynwood, Edgewater, Overtown, Brickell, The Roads, Miami Beach, and Hialeah.